Whether you need reliable airport transfers, are looking to explore a city or any other attraction on the Island, Dominican Quest has an option to suit your needs. Our goal is to use our expertise, local knowledge and our high quality customer services in order to make your trip as memorable as possible. Getting to the Dominican Republic is one thing, but having the opportunity of arranging for travel services with a company that stands out from the rest by offering quality services that meet the clients expectations is what will ensure that you have the time of your life and that you you'll be in good hands. 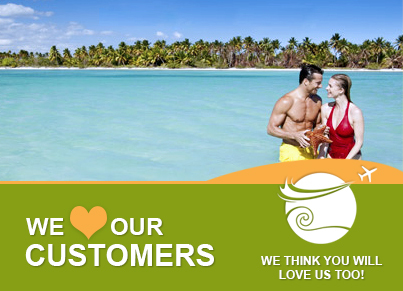 As a Dominican Quest customer you are entitled to a great treatment and perks not available everywhere. At Dominican Quest we love what we do and each of us made a commitment to enter the business of the Travel Industry in the Dominican Republic to make the difference while helping our customers reach their destinations and also show them the best sights, adventures and experiences our beautiful country has to offer. When you travel with us you are not just buying a service, you're doing business with a group of hard working men and women who make YOU the customer and your needs the primary focus of their actions. Each day we help a significant amount of travelers reach and get to know different destinations all around the Dominican geography. When you book in advance with us online, you can be confident that you'll get your services as requested by you without having to worry. When you book with us, we take care of all the details linked to your trip and our aim is to provide you with the best customer experience. Everyone in our team takes responsibility very seriously to make each customer's transfer or tour successful. We monitor all your flights for delays or time changes and we wait the time needed so your vehicle is ready for you. We provide you with baby seats, refreshment drinks, etc. on request. Our private transfers are non-stop and take you directly from the terminal to your destination or vice versa. We offer you Punta Cana Airport transfers, Santo Domingo Shuttle services, Transfers from the Santiago airport STI to Puerto Plata among others.